Belmont is a very harmonious and happy multicultural school. We take pride in our diverse community and celebrate the achievements of all our learners, focusing not just on academic success but also sporting and creative achievements. The school ethos is underpinned by our commitment to children’s rights and how we follow them. As a nationally recognised Level 2 Rights Respecting School, we subscribe to and promote the United Nations Convention on the Rights of the Child (UNCRC) in all that we do, both within our school and in the wider community. British Values is promoted through our Rights Respecting work. Our children are our best advocates and demonstrate respect towards others in their learning, their friendships and in the roles and responsibilities they embrace with enthusiasm. 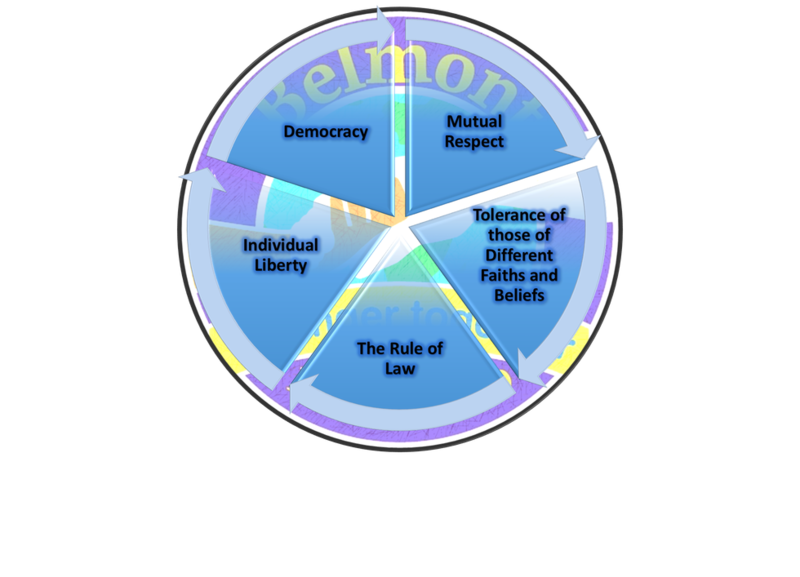 At Belmont we have young teams of Rights Respecting Ambassadors, Eco Warriors, Prefects, Junior Librarians, Peer Mediators, Sports Leaders, Junior Travel Ambassadors and our School Council who all promote our values and contribute to making important decisions about the direction of the school.